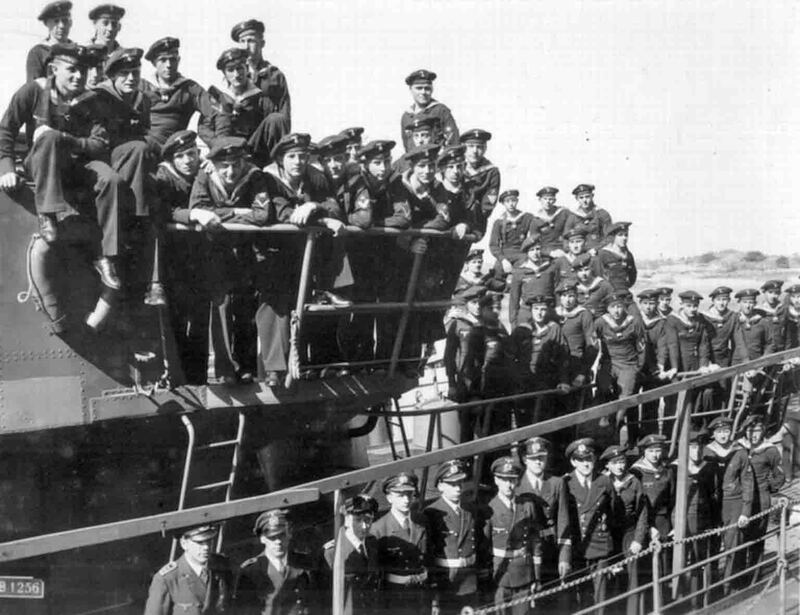 World War 2 photo: Crew of a German submarine U-107. U-107 submarine was put into operation on October 8, 1940. The submarine carried out 14 military campaigns, sank 37 cargo ships (207,375 tons) and 2 warships (10,411 tons), damaged 3 cargo (17,392 tons) and one warship (8,246 tons). U-107 submarine Flooded on August 18, 1944 in the Bay of Biscay by the depth charges of an English S.25 Sanderland airplane from the No. 201 Royal Air Force squadron. The whole crew of the U-107 submarine was killed – 58 people.